When Ravana heard the news of this holocaust, he exclaimed, "Whoever expected that the war would end thus? Whoever expected that it would be so calamitous a disaster?" The news of Narantaka's death spread terror throughout Lanka. Many wise scholars approached Ravana, the bereaved father, and sought to give him consolation and comfort. But, their effort was but waste of time; their advice did not enter the heads of Ravana. When Ravana recovered himself, he heard the wailings of Narantaka's wife, and that made him angrier still. He forgot himself in the flames of vengeance and anger. The night ended and day dawned, even though Ravana did not notice it. The Vanaras gathered at the four gates of the city and were, as usual, getting ready to storm them and enter. Ravana assembled the Rakshasa warriors and addressed them thus: "Soldiers! If your hearts shudder at the prospect of battle, it is best you leave the ranks this very instant. Do not flee when the battle is on; if you do so, I shall slaughter you with my own hands". Threatening them thus, he felt they would fight to the last. Then, he ordered the fleetest chariot to be brought to him. He ordered that the war-drums be beaten and trumpets blown. Like darkness intensifying mountain peaks, the Rakshasa warriors marched forward in serried ranks. A series of bad omens assaulted them; but, Ravana who boasted of his physical prowess did not pay heed to them. The weapons he held in his grasp slithered down; the charioteer who had taken his seat fell from his perch. The elephants and horses marching forward to battle started wailing aloud. All around, dogs and foxes set up a cacophony of grief. Owls hooted ominously as if announcing the doom that loomed over Lanka. The Rakshasa forces - cavalry, elephantry and infantry - marched forward to meet the enemy at the gates. The earth exuded tremors when the forces trampled hard on it. The splendour of that army was indescribable. The army led by Ravana shone like the army that the God of Spring leads every year, with all its colour, music, and joy. Drums, trumpets, bugles and pipes played around in a majestic stream of heroism and adventure. Meanwhile, the monkeys and bears pounced on the Rakshasas and fell upon them, like a host of heavy mountains whose wings were clipped by the arrows of some strange power. They attacked them like the minions of Death. Their most efficient weapons were teeth and nails. They threw hills and huge trees on the foe. By their leonine roar, "Victory to our Lord, Sri Rama", they made the elephant hearts of the Rakshasas shudder in mortal fear. Very soon, the battle became a series of duels between the Rakshasas and the Vanaras. The cry, 'Victory to Rama' was met by the cry, 'Victory to Ravana'. The Rakshasa fought like the emissaries of Death; the Vanaras bled from many wounds. They pounded the enemies heavily with their fists. They tore them to pieces with their teeth; they kicked them in the ribs with their feet. They held them in their grip and tore them apart. They pulled out their entrails and wore them round their necks. Ravana saw with alarm the decimation of his army. He took up his bow and shot arrows at the soldiers of his army fleeing for life from the field of fury. The Vanaras were inspired when they saw Ravana filled with anger at his own warriors. They yelled in joy and leaped towards him in large numbers. They aimed peaks and trees at him. Ravana turned all round him and encouraged his soldiers to stand firm. The Vanaras fled in all directions unable to meet the onrush. They wailed, "O Lord, Sugriva! Sugriva; Save us, save us." Earth and sky were darkened by the showers of arrows sent by Ravana. The Vanaras ran to the far corners of the land. Chaos prevailed in the camp. Lakshmana noticed the situation; he girded up his loins and armed himself with his bow and sheaf of arrows. Prostrating before Sri Rama, he rose with his blessings and proceeded to the field of battle. Lakshmana accosted Ravana, and scoffed at him thus: "You villain! What benefit can you gain by slaughtering monkeys and bears? Gaze at me, standing before you like Death itself, the Spirit of Time come to finish your earthly career." Ravana replied, "O! Don't I know you? You are the destroyer of my son. I was looking out for you for many days. My heart will find solace only on my killing you this day". Ravana yelled in anger and let loose sharp arrows at Lakshmana. But Lakshmana cleverly cut them into a thousand splinters. In addition, Lakshmana shot fiery shafts at Ravana and they succeeded in cutting to pieces the chariot of Ravana as well as his charioteer. Lakshmana rained arrows in deadly groups of hundred and more. They found their mark on the face of Ravana and on his chest, so that he was felled to the ground, having lost consciousness with the blow and the pain. Yet, he recovered very quickly and rose up in ferocious anger, and directed against Lakshmana the terrible mighty missile that was conferred on him by the first of the trinity, Brahma Himself. When the missile hit him, Lakshmana rolled to the ground. Hanuman saw the fall, and he hastened to the side of Lakshmana, shouting imprecations against Ravana. Ravana administered a heavy blow on Hanuman with his clenched fist. It made Hanuman reel in pain, but he steadied himself. He returned the blow even more power-filled than the one he got from Ravana. Ravana was stunned by the impact. He said within himself, "May this fellow's fist be burnt to ashes. I never dreamt that a monkey's fist could discharge such a thunderbolt". Meanwhile, Lakshmana recovered from the swoon and rose ready for the fray. Ravana had to be helped into another chariot having become unconscious again. His charioteer cleverly drove the chariot in the direction of Lanka itself. He got back his awareness as soon as he reached Lanka. He ordered that a special destruction-yielding, victory-ensuring ritual called Patalahoma be performed so that he could defeat the enemy at his door. What a big fool was he! Can he ever achieve victory in a fight with Rama? Those who were spying his activities on behalf of Vibhishana carried the news of the Patalahoma to him and he was alerted in time. Vibhishana approached Rama without delay, and falling at his feet said, "Lord! Now Ravana is engaged in a ritual, the same as the one which Meghanada began in the past. This ceremony too has to be defiled and desecrated by the monkeys so that Ravana might be deprived of the benefits he hopes to secure through it. In case this Homa is allowed to reach its conclusion, without interruption, it will be very difficult to defeat Ravana". Very soon day dawned. In accordance with the orders of Rama, Angada and Hanuman proceeded to the Ritual Enclosure with a large following. They jumped and leaped in great hilarity and surrounded the palace of Ravana. "Sacrilegious sacrificer! Fleeing from battle, and finding safety at home, are you sitting cozily performing meditation?" Angada dared go very near him and deal him a kick with his foot. Ravana was engaged in preparatory silence and 'meditation'. Even the slightest movement or distraction of attention would make him unfit and unholy, so that the Homa he was to perform for achieving victory would be rendered infructuous. Angada and the monkeys took liberties with him. Some of them dug their teeth into him. A few tugged at his crown of hair. That was the limit. Ravana became fiercely angry; he rose to his feet and catching hold of a few monkeys, he twirled them fast over his head and tried to smash them on the ground. But, he could not move even a little step. This became a matter of greater shame. Soon, a regular scramble and struggle ensued between Ravana and Vanaras. The ritual ceremony he had planned could not be gone through. Ravana was sunk in grief. Rama was informed of all that had happened. Vibhishana and others were happy at the consummation of their strategy. Ravana was badly disappointed that he could not succeed in performing the Yaga. But he had to resolve dutifully to proceed to the battle field. As soon as he started from his palace, bad omens greeted him. Kites flew in and out on his head and his hands, and his crown slipped from its place. He paid no regard to the warnings. He ordered that the war-drums be beaten and the clarions sounded. Hundreds of thousands of Rakshasas gathered when that signal was given. The army proceeded to wage a mortal battle against Rama. Rama equipped himself with the arrow-case and took the bow in his hand. With his long arms and broad chest, the splendour-filled embodiment of charm stood on the battle-field, the very picture of heroic might; the gods assembled over-head and offered reverent homage to the Saviour of Humanity from the Rakshasa hordes. The Vanara army followed Rama, arrayed in perfect order and alert to command. Like the thunder-spitting clouds bringing destructive floods on the earth on the Day of Deluge, the Vanara hordes moved fast towards the Rakshasa forces, bent upon annihilation of the enemy. The mountain peaks that the combatants threw against the enemy fell with the noise of thunder; in an instant, the chariots, elephants and horses of the Rakshasa armies were destroyed. Thousands and thousands of Rakshasas fell on the ground. Blood flowed as rivers. Ravana lost all his warriors. He felt he was alone, and that the monkeys and bears were many. So, he decided to draw on his magic powers. He exercised magic on all except Rama. But Rama willed otherwise. Through His Will Ravana saw wherever he turned a vast ocean of Vanara hordes, with Rama and Lakshmana in the vanguard, leading the forces. At this, Ravana realized that his magic could not produce any effect. Soon, Rama called to his presence the Vanaras and told them in grave seriousness: "You are all exhausted by the long and hardy battle. Go and take rest. Now, watch the fight between Rama and Ravana". No sooner had he said these words than Ravana encountered Rama with a challenging roar. At this Rama smiled and said in a soft voice, "Fool! First listen to the words of moral counsel I am giving. There are three types of men in the world: The first are like the patali tree, which blossoms finely, but the blossoms do not turn into fruit. Those who indulge in mere speech and do not practice a mite of what they talk are of this type. The second group are like the plantain tree. It gives flowers and fruits, both. Those who speak and act, practice what they assert, these are of this type. The third type is like the jack tree - it has no flower; it has only fruits. The best type of men do not prattle or boast or talk high; they are silent workers who act with no boast. You are a mere braggart. Your immoral rule has brought ruin on your race." Ravana was not in a mood to swallow these imputations. He said, "What? Dare you teach me? ", and he poured out a stream of abuse. Suddenly, he shot a bunch of hard hitting arrows on Rama. Rama replied with the Fire Arrow. The arrows of Ravana were burnt to ashes by the weapon that Rama released. Ravana directed against Rama millions of sharp-edged wheels and three-pronged spears. But, the hopes of his wicked heart were not fulfilled. Rama thereupon lifted his redoubtable bow and shot a stream of deadly arrows, which flew straight at Ravana like irresistible messengers of death and cobras eager to inject their fatal venom. Rama noticed that as soon as one head was sliced off by his arrow, another grew in its place. Ignoring his impending death, Ravana was immersed in pride; he challenged Rama in great exultation. It was a ghastly sight; the heads that rolled to the ground were shouting, "Where is that Rama? Where is Lakshmana? Where is that Sugriva?". The heads that remained on the trunk were gnashing teeth and asking for Vibhishana, and pouring abuses on him. They said, 'Brother of mine! Shame on you for awaiting the news of your brother's death, so that you may succeed him on the throne! You are not a hero; you are a cowardly ascetic. Fie on you. No one should look you in the face". Soon, the lost heads re-appeared and Ravana fought most fiercely and with un-equaled valour. Lakshmana, Sugriva and Angada watched him and admired his prowess. Finally, Rama resolved that the end of Ravana should no longer be delayed. His iniquities were multiplying with every passing day. Nala, Neela and other Vanara heroes were casting rocks at Ravana, and hurting him greatly. But, the dusk of evening intervened and the battle ended for the day. That night, Thrijata sat near Sita, describing the battle between Rama and Ravana. She told her that whenever Rama sliced off a head, another grew in its place. Sita's face paled at this news; she sank in sadness. Thrijata was surprised at this development; she said, "Do not yield to anxiety. His heart has your Form enshrined in it; that is the reason why the heads grow." At this Sita became both sad and happy. Thrijata hastened to add, "Sita! Have no doubt. His end is imminent. Rama will triumph. Rama too is remembering you every time he shoots an arrow; he too has your form in his heart. So, the end is prolonged until the moment comes when Ravana gives up your memory for a short while. That moment will spell his doom; he will be killed that instant." Ravana filled the next day of the battle with his magic mystery. The battlefield was filled with his creations: ghosts, eerie beings and sprites with bows and arrows. Female spirits danced around, holding swords in one hand, gorging blood from skulls held in the other. 'Hold', 'Beat', 'Kill'- they yelled in screaming voices. In whichever direction the Vanaras advanced, they were met by high walls of fire. The monkeys and bears were astounded. A thick rain of sand fell without stop on the Vanara forces. Ravana roared in glee at the plight of his enemy. Lakshmana, Sugriva and others were incapacitated. The warriors prayed pathetically to Rama to come to their help. Rama was besieged by many 'Hanumans' created by Ravana's magic; each 'Hanuman' carried huge mountain peaks; they also attempted to bind Rama in the knots of their tails! The tails coiled and grew over many miles in all directions. But Rama shone unconcerned and unharmed, blue like a fresh blossom in the midst of all the carnage and confusion. He knew that it was all the frail product of Rakshasa magic. He laughed within himself at the efforts of Ravana to mystify him. With a single arrow shot from his bow, he destroyed all the varied effects of that magic skill. The monkeys and bears saw the frightful scenes disappear in a trice, and they were happy. The entire thing melted away as fog before the rays of the sun, as soon as the arrow of Rama entered it. The Vanaras caused a hail-storm of stone to fall on Ravana. They jumped all around him with the missiles. Rama then selected a sharp arrow and shot it straight at Ravana. It sliced off a head. Another grew on the spot in a trice. It happened again and again. Rama watched the fun and seemed to be enjoying it. He remembered the phenomenon of greed coming in place of gain; as soon as something is gained, greed for more is born. He pictured the falling head as gain and the growing head, as greed! The battle that ensued between Rama and Ravana was fought with incomparable and unexcelled fury. The saying goes that the Ocean is like the Ocean and the Sky is like the Sky. They cannot be compared with any other phenomenon; so, too, the battle between Rama and Ravana has that battle alone as equal to it. The battle lasted for eighteen days. Rama was not in the least exhausted by the fighting; it was a sport, a pastime for him! There were a few more days left before the fourteen years' exile was to end; so, he could well afford to engage himself in the game of war. If Rama decides on the finale, how can Ravana postpone his end or change the decision? When the allotted days, were over, everything conspired to create bad omens for Ravana. Dogs howled, foxes moaned, donkeys brayed. Bird and beast set up piteous wails. Balls of fire dropped from the sky. Sudden bursts of flame became evident in all directions. The heart of Mandodari, the Queen, beat loud and fast. Every idol in every home and temple in the island shed tears in plenty. Tornadoes spread havoc over hill and dale. Alerted by these calamitous signs, the gods knew that the end of the Rakshasas was near and they gathered overhead to witness the triumph of Righteousness, shouting, Jai! Jai, welcoming the victory. Then Rama shot a bunch of thirty-one arrows at the same instant on Ravana. They darted like deadly cobras. One arrow entered the 'nectar jar' that Ravana had underneath his navel; the rest, the thirty, sliced off his heads and hands. When the heads and limbs rolled on the ground, they hopped about and rose and fell in frantic dance, for some little time and then lay quiet. Thus Ravana rid himself of life and reached heaven. The day was the fourteenth of the bright half of the Chaitra month. That instant, a host of heavenly drums resounded from the sky. The splendorous spirit of Ravana merged in Rama. Struck by that vision, the Vanara warriors were aghast with wonder. They were amazed at the valour and heroism of Rama in the battle against Ravana which lasted full 18 days. They exclaimed with one voice: "Victory, Victory to Rama." Hearing that Ravana had died, his queen Mandodari collapsed on the floor. When she recovered, she hastened with her maids to the corpse of Ravana and wailed aloud. She collected the heads and was stricken with grief at the tragic fate of her lord. She recited with fond reminiscence the exploits of Ravana in the past. "Lord! You had overwhelmed and subjugated the entire Creation. The Rulers of the eight directions had fallen at your feet, praying for protection. Of what avail was all that glory! Of what avail were the austerities and asceticism that you underwent; you had to endure this fate in spite of all the might you had won. This blow fell upon you since you turned away from Rama. You could not conquer the promptings of lust; he who becomes a slave to lust cannot escape dire punishment, be he as powerful as even the God of Death, Kala. Blinded by lust, you could not avoid this tragic end. Lusted you to ignore Rama and invite this calamity on your head. Ravana! Rama has incarnated with the purpose of destroying by the fire of his anger the forest of Rakshasa vice. I disclosed this to you many times over; but, a cruel fate rendered you deaf to my importunities. I told you that he is no mere man. You relied foolishly on your physical prowess, your clever intellect, your vast treasures and the vast numbers of Rakshasas you ruled over. Did I not plead with you, holding your feet in my hands, to surrender to Rama, the Ocean of Mercy, and thus save the Rakshasas from annihilation? My pleadings were not welcome to you. You were engaged constantly in inflicting injury on others, an activity which gave you great joy. You seldom attempted to confer benefits on others. Your urges were ever towards sinful deeds and thoughts. In spite of this, Rama has conferred his blessing and your spirit has merged in him. What great compassion is this! You died at his hands; this is a fortune that few can achieve. Why, Rama came into this world in human form for the special purpose of killing you. The royal road to the destruction of the Rakshasa race was laid by the Rakshasa Ruler himself! This will be known as your greatest achievement! This is the supreme example of your protective skill! Is this the final result of all your austerity and spiritual Sadhana? Rama! Have you done this to prove that no one can escape the consequences of his deeds? What greater example for that law can there be? This calamity brought about by him is here for all to see and learn from". Mandodari wailed for long, sitting by the side of her lord. Mandodari had realized through her wisdom that Rama was Parabrahma Itself, the Universal Oversoul, the Absolute. The gods watching her from heaven were elated at her outlook and attitude at this hour of grief. Vibhishana was moved by the wailing of Mandodari. He agreed that what she said and felt were correct. Rama and Lakshmana approached Vibhishana and consoled him. They directed him to perform the funeral rites for his deceased brother. And according to that order, he too carried out all the prescribed rites and rituals, at the proper places and with correct ceremonial. Mandodari and other women also offered water offerings, sanctified with mantras and til. Every item of the funeral rite was gone through in correct order, without any hitch or disturbance, by Vibhishana who was all the while comforted and consoled by Rama. Rama said that when the curses Ravana had invoked on himself by his sins had ripened and fulfilled themselves, he was killed, and, so, there was no reason why the death should be lamented. Rama called together in his presence Lakshmana with Sugriva, Jambavantha, and Angada, and asked them to go into Lanka with Nala, Nila and others for installing Vibhishana as the Emperor of Lanka. He directed them to proceed without delay, for the fourteen years of exile which the father had prescribed for him would end the next day. But, Vibhishana protested and pleaded, "Why do I need an empire? Please place me instead in the immediate presence of your Lotus Feet, he prayed. From this day Lanka is yours; treat Lanka as a part of Ayodhya", he insisted. But, Rama did not agree. He elucidated many political principles and declared that his order was irrevocable. Then, Vibhishana prayed that he should be entrusted with the Empire by his own hands. Rama replied, "No. Having observed and followed my father's command for thirteen years, eleven months and twenty-nine days, it is not proper that on the very last day, I should go against it. I am on exile as he desired and an exile should not enter any town or human settlement. You are not unaware of this rule." Thus saying, he blessed Vibhishana and instructed Lakshmana to go into Lanka and install the new Emperor on the throne of Lanka. Bowing their heads in acceptance of this assignment, Lakshmana, Sugriva, Angada, Nala, Nila, and others started towards the city and reached the palace. They placed the crown on the head of Vibhishana and put on his forehead the auspicious mark of authority. Vibhishana prostrated before the assemblage of Vanaras and acknowledging their friendly help, promised to fulfill the real purpose of his life through following their example and benefiting by their help. "I shall rule over this land as Rama's agent; I shall not accept it as mine. I have already dedicated all of myself to Rama." He suffered great grief when he reminded himself of the cruelties and injuries inflicted by Ravana, his sons and his warriors on the Vanara hordes; but, he consoled himself by the thought that everything that had happened had been the 'sport' of the Supreme Will, Rama. Soon, they all proceeded to where Rama was and fell at His feet in reverential homage. Then, Rama called Hanuman near and told him, "O Hanuman, Incomparable Hero! Go into Lanka on my errand once more and communicate to Sita all that has happened and return with authentic news about her condition." Accordingly, Hanuman entered Lanka, went to the place where Sita was and fell at her holy feet. She asked him, "Are Rama and Lakshmana safe, with their Vanara forces? Is Rama, the Ocean of Compassion, safe and happy?" Hanuman replied with folded palms and bowed head. "Rama is safe and happy in all respects. He has killed Ravana and installed Vibhishana the permanent Emperor of this land." Sita was glad at the news of Rama's victory and Ravana's downfall. Her face brightened with joy; she felt a great thrill of delight. Tears of joy streamed from her eyes. "O Leader of Vanaras! What can I offer you as a gift for conveying to me this best of news? Nothing can equal in value the comforting words you have spoken," she said. Hanuman replied, "Mother! The bliss you evinced, the blossoming of joy - they have given me as much as a gift of the three worlds. What more can I crave for? What greater fortune can anyone need than the fortune of seeing Rama victorious over the enemy and happy with his Brother?" With these words, he prostrated once again at the feet of Sita. Sita said, "O Best among Vanaras! I was sunk in agony these ten months of separation from my Lord, and hence I could not see or know anything about the external world. I do not know which day of the week it is today, nor whether it is the bright or dark fortnight, or which day it is in that fortnight. Whatever it is, you have given me the most welcome and the most auspicious news; so, I shall name it the Mangala Day, (though it may generally be named otherwise. It was a Tuesday), meaning the Day that brought Mangala or auspiciousness and joy. May this Day be held sacred and may you, the bringer of this news, be adored specially on this day, more than on other days of the week." At this, Hanuman fell at her feet and stood with folded palms. Sita pleaded with Hanuman, "Get me the boon of meeting the Embodiment of charm and compassion, my Lord, Rama. Do you not know that all this fighting and killing in war was for my sake, for the sake of restoring me to my Lord? Take me soon to the Lotus Feet of Rama", she said plaintively. Hanuman could not bear the anguish that was patent in the words of Sita. He leapt into the sky and reached Rama in a trice. He narrated all that happened during the meeting. Rama gathered Angada, Vibhishana and others and told them to proceed to the place where Sita was and directed them to bring Sita respectfully to his presence. They went to the Asokavana where she was so long interned; Vibhishana directed that Sita may take bath, wear fine silk clothes and be decked in jewels, when she moved out of the Asokavana. But, Sita cast aside the suggestion; she said, "Rama is the most precious jewel I have; that one jewel is enough for me. Seeing him is the bath I shall be satisfied with. The prostration I shall do for him is the silk cloth for me. I do not like to wear anything that was once Ravana's property." Vibhishana was moved by the depth of her yearning. He asked the maids to respect her wishes; they also said that Sita was desperately wishing for darsan of her Lord. Soon, a palanquin was brought and Sita was seated in it. The Vanaras bore the palanquin on their shoulders. The Rakshasa women who had survived, the Vanara warriors, and others were jumping with excitement, on both sides of the road, when Sita passed through. They stood on tiptoe and even jumped high to get a clearer and nearer view. But, Sita did not turn to right or left; she bent her head and was sunk in one single thought - Rama. When a little distance had yet to be covered, Sita came down from the palanquin, for, she felt that she should go to her Lord in humility, walking the distance. She walked slowly towards Rama; as she neared Rama, the Vanaras standing along the path fell at her feet and cheered, 'Jai, Jai Sita Ram'. When she came within a short range, Rama declared that she should not be brought to him immediately, but that she had to go through the Ordeal of Fire! At this, the Vanaras were stunned into silence and despair. But, they had to go and collect dry sticks and fuel for lighting and feeding the fire for the rite of ordeal. The Vanaras had carried on their shoulders huge mountain peaks and rocks before and during the war with Ravana; now, those very Vanaras were finding little sticks of dry wood too heavy for their strength, for, their hearts were heavy at the thought of Sita being put through this new trial! Of course, Rama knew that Sita had spotless character and was the very embodiment of virtue. And, Vibhishana, Angada, Sugriva and others knew that the fire ordeal was only to convince the world. The fact was, the Shakthi that 'was' Sita was transmitted and installed in Fire, when they were in the Dandaka Forest. The Sita who was in Lanka was but the Body; the Sakthi or the Vital Core was all the while fostered in Fire by Fire. She had now to pass through Fire so that she might emerge as the real Sita, embodied Sakthi. Sita welcomed the rite; for the world will be convinced that her heart was pure and unblemished. She was happy to see the flames leap up. Lakshmana, however, was overcome with grief, for he himself had to supervise the rite. Sita consoled him with her soft counsel. "Lakshmana! When I was married, [RRV-7d] the Brahmins lit the Fire on the wedding day and sanctified the function. Today, Fire will give me new birth; after that, I will wed the Lord again. Feed the fire well, for that is the right thing to do". Lakshmana was moved by her pang of separation, her yearning for reunion, her loyalty to righteousness, her attachment to justice and her intelligent analysis of the situation. He shed tears and folded his palms in reverence and stood silent. For, he could find no words to express his feelings. Fixing his gaze on the face of Rama, he piled firewood on firewood and lit the fire till it blazed. Sita was elated when she saw the leaping flames. She had no trace of fear in her mind. She walked towards the fire and standing before it said, "O Receiver of Sacred Offerings! By word or deed or thought I have not dwelt in my mind on anyone other than Rama, my Lord, O Purifier. You reside in the heart of every living being. Become as cool as sandal paste to me, when I enter you". She prostrated before Rama and moved into the Fire. The God of Fire, Agni, appeared in the form of a Brahmin bringing with him the real Sita, and offered her at the feet of Rama, just as the Lord of the Ocean of Milk offered Lakshmi at the feet of Lord Vishnu. 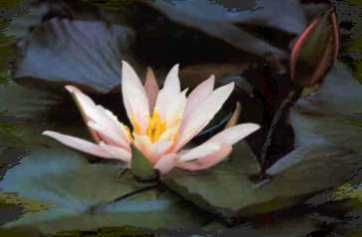 She shone on the left of Rama, like a golden lily by the side of a full-blossomed blue lotus. The gathering of gods expressed their joy by sounding heavenly drums and trumpets. Vibhishana hurried into the city and brought clothes and jewels fit for Divinity in the aerial chariot named Pushpaka; he placed them before Rama. Rama asked that the chariot be taken high up in the sky and the valuables be showered from there on the people below. Vibhishana did as directed; the Vanaras grabbed whatever fell on them or near them. They mistook the gems to be fruits that were red and ripe. When they found from the taste that they were stones, they cast them away in disgust. Rama and Sita enjoyed this fun and laughed in sympathy. Many Vanaras and Bears wore the clothes they secured and approached Rama in gratitude. Dressed in multicoloured costumes, they danced about in ecstasy. Rama appreciated them and addressed them most graciously; "O Vanaras! Through your prowess and valour, I was able to destroy Ravana and place Vibhishana on the throne of Lanka. Now, you can all return to your own homes. I shall always be with you. You need have no fear hereafter". Rama consoled and comforted them all by the gracious gesture, promising his eternal protection and assuring them that there will be no occasion for them to fear anyone or any calamity. The Vanaras and others were overwhelmed by gratitude for the love he showered on them; they lost all moorings of their minds; they stood folding their palms in reverential homage and said, "Lord, your words are in consonance with your majesty; they confuse us and render us dumb. We are weaklings; you are our Protector, our Guardian. You rule over the three Worlds. Can a fly ever claim to have given help to the eagle? Can a tiny lamp claim to reveal by its light the Sun?". The Vanaras fell at Rama's feet and stood with tear-streaming eyes. The Vanaras and Bears felt they had to obey the orders of Rama, however unwilling they were to depart from his Presence. They turned towards their homes with mixed feelings of joy and grief, praying to Rama for His continued blessing and with the Form of Rama imprinted on their minds. Nala, Sugriva, Hanuman, Vibhishana and other leaders and warriors could not give utterance to their feelings; they stood silent with looks fixed on the face of Rama, trying to subdue their anguish. Observing the depth of their love and attachment, Rama had them seated in the aerial chariot named Pushpaka which he was ascending.